In the 18th century football was played by most of Britain's leading public schools. There is documentary evidence that football was played at Eton as early as 1747. In 1848 a meeting took place at Cambridge University to lay down the rules of football. Teachers representing Eton, Shrewsbury, Harrow, Rugby, Marlborough and Westminster, produced what became known as the Cambridge Rules. One participant explained what happened: "I cleared the tables and provided pens and paper... Every man brought a copy of his school rules, or knew them by heart, and our progress in framing new rules was slow." Former public school boys also played football at university. Many continued to play after finishing their education. This included Arthur Kinnaird, who decided to form a football club made up of former students of Eton. In 1862 a new set of football rules were established at Cambridge University. These specified 11-a-side, an umpire from each side plus a neutral referee, goals 12ft across and up to 20ft high. An offside rule was added. A man could play a ball passed to him from behind, so long as there were three opponents between him and the goal. It was also decided that each game should only last one hour and a quarter. The first game under these rules took place between the Old Etonians and Old Harrovians in November, 1862. In 1871, Charles W. Alcock, the Secretary of the Football Association, announced the introduction of the Football Association Challenge Cup. It was the first knockout competition of its type in the world. Only 15 clubs took part in the first staging of the tournament. It included two clubs based in Scotland, Donington School and Queen's Park. 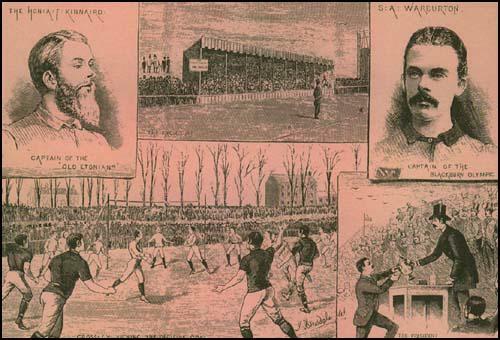 In the 1872 final, the Wanderers beat the Royal Engineers 1-0 at the Kennington Oval. Old Etonions reached the final six times in nine years between 1875 and 1883. They won the trophy on two occasions, 1879 and 1882. Famous players included Arthur Kinnaird, Francis Marindin, W. H. Gladstone, the son of the British Prime Minister, William Gladstone, and Quinton Hogg. 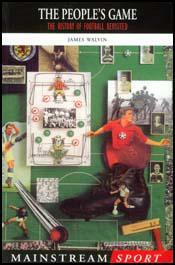 In 1885 it was decided by the Football Association that clubs could play professionals in the FA Cup competition. After this date the competition was dominated by Football League clubs. Old Etonians are currently members of the Amateur Football Alliance and play in the Arthurian League.